What is a superfood? Determining what is a superfood is subjective as there is no actual scientific list of superfoods. To my mind a superfood is something that has the ability to help ward off heart disease, cancer, lower cholesterol etc. In other words it keeps us healthy, disease-free and extends our life-span. Contain more than 25 per cent or more of the recommended daily intake of two or more nutrients in a serve. Contain small amounts of salt, saturated fat, trans fats or sugar. If you are just venturing into the world of superfoods and don't know how to incorporate them into your diet, then smoothies are the ideal place to start. After all what could be easier? They require no cooking, are prepared in minutes, and anyone can make them. You’d be amazed at just what can be thrown into your blender. The list of superfoods that can be blended together to create a delicious drink is truly mind blowing. The following list of superfoods is readily available from health food stores or online, are blender-friendly, palatable and relatively cost-effective. After all you really only need to add one to two tablespoons to your blender. Rather than buy all of these superfoods at once, start with one or two, as your budget allows, then gradually add them one by one as you experiment with different flavour combinations. The acai is a small, purple berry-like fruit, about the size of a blueberry found in the rainforests of the Amazon. When added to smoothies it adds a dark purple hue with a wonderful berry flavour. As it has a mild flavour avoid mixing it with strong flavors. 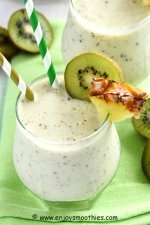 Its delicate flavour will be brought out with bananas, creamy nut milks (including coconut milk), other berries and dates, but not with citrus. Like other berries, acai also blends well with chocolate. If adding to a green smoothie, go with a mild tasting leafy green such as leafy lettuce, romaine or baby spinach. Acai is available as freeze-dried powder, juice or pulp “smoothie packs’ found in the freezer section of some health food stores. However, where I live only the freeze-dried powder is available, so by necessity this is my go-to form of acai. A serving size is one tablespoon. 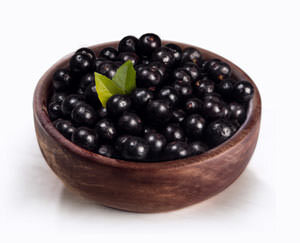 Acai berries are extremely high in anthocyanins a form of antioxidant associated with the ability to lower cholesterol. These are the same compounds that are found in red wine. They are also rich in plant sterols which are also associated with the ability to lower cholesterol. Cacao is the raw form of chocolate and is my favourite superfood. Not only is it super healthy, but for chocoholics like myself, it enables you to indulge in your favourite taste without the guilt or the calories. You can create a deliciously healthy dessert smoothie that tastes just like a chocolate milkshake. When adding to smoothies, a little goes a long way. One tablespoon will give you that rich chocolate taste. Cacao contains high levels of antioxidants, in fact four times that of your average dark chocolate and more than 20 times that of blueberries. 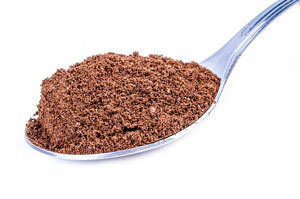 Cacao also contains many important vitamins and minerals. It is one of the best dietary sources of magnesium as well being a good source of calcium, iron, copper, zinc and potassium. It works well with nut milks and fruits such as bananas, avocados and berries and mild greens such as spinach. I have also discovered it pairs very well with oranges and pears. 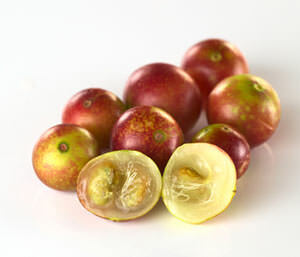 Camu berries are grown in the South American floodplains. They are a pale brown color with a bitter, tart taste. In South America Camu is available as berries or juice. The rest of us have to use it in powder form. Camu berries are nature’s number one source of vitamin C, in fact one serving contains 60 times more than an orange. 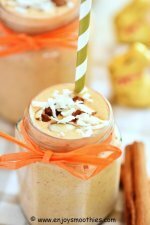 Adding a pinch of camu powder to your smoothies is better than taking a vitamin C pill. It is also a plentiful source of potassium, calcium, protein, beta carotene, amino acids and powerful phytochemicals. 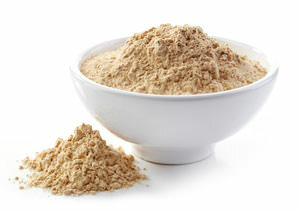 The tart taste of Camu powder is sweetened by combining it with fruits. Add one teaspoon to your smoothies. Chia seeds originated in Central America where they are used in traditional medicine. These tiny black and white seeds are a great energy booster. 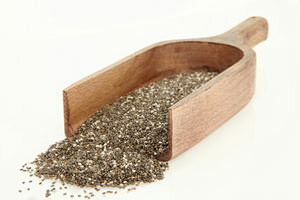 Chia seeds are the richest natural plant source of omega-3 fatty acids. They also contain fiber, as well as calcium, phosphorus, magnesium, manganese, copper, iron, molybdenum, niacin and zinc. They have a mild nutty flavour and can be added to almost any smoothie, either by sprinkling over the seeds or making a gel first. If making a gel, you will need to soak them in water first for 30 minutes. Chia seeds are able to absorb more than twelve times their weight in water. They have a unique outer shell that turns gelatinous when wet. 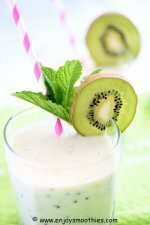 This gel can be added to smoothies as a thickener. Research suggests that this same gel-forming action occurs in the stomach and is thought to create a barrier between carbohydrates and digestive enzymes and slows the breakdown of carbohydrates into sugar. Flaxseeds are one of the oldest fiber crops in the world, and were originally cultivated in ancient Egypt and China. 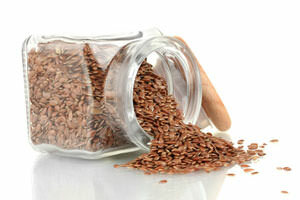 Flaxseed contains more inflammation-fighting omega-3’s than any other available fat source. High in fiber, phytochemicals and omega 3, it also contains vitamin B6 calcium, magnesium, folate and iron. To get the most benefits from flax it should be consumed in ground form, as whole flaxseeds can sometimes pass through the body undigested. If you have a high-speed blender, this will do the job for you, otherwise I recommend you only use flaxseed powder (also known as flaxseed meal). With a mild nutty flavour, flaxseed can be added to any non-savory smoothie. Just add one tablespoon of flaxseed powder. No list of superfoods is complete without goji berries. These little red berries may be small but they are nutrient dense and have been used in Chinese medicine for thousands of years. They are most commonly available in dried form. Goji berries go well with almost any smoothie, but their flavour is particularly enhanced when paired with other berries, citrus and mango. A serving size is a loose handful which is about 3 tablespoons. 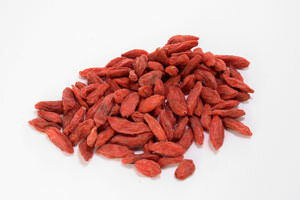 Goji berries are a complete protein food containing all essential amino acids. Packed with antioxidants they contain more vitamin C than oranges and more beta-carotene than carrots. High in fiber, they have twenty-one trace minerals, as well as calcium, zinc and selenium as well as boasting 15 times the amount of iron found in spinach. What’s not to love about these little berries. 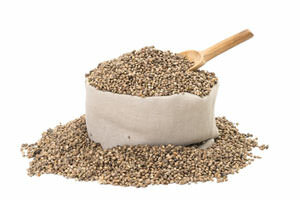 Hemp comes as a powder or seeds. If you are buying hemp in the form of seeds you don’t need to grind them first, especially if you have a high-powered blender. If you don’t, fortunately you can buy hemp in the form of powder. The seeds have a lovely nutty flavour and give your smoothies a slight crunch. Add 3 tablespoons to your smoothies. Hemp seeds are one of the best sources of plant-based protein, containing all nine essential amino acids as well as omega-6 and omega-3 essential fatty acids. It is a great source of vitamins C and E and contains the B vitamins, iron and magnesium, as well as both soluble and insoluble fiber. Maca is native to the remote peaks of the Peruvian Andes in southern Peru. It is a radish-like root vegetable related to the potato family which is commonly ground into powder form. It has a distinctive malty, earthy flavour which seems to go well in creamy smoothies containing nuts and seeds. Its flavour is also enhanced with bananas and dates, but not with most other fruits nor with vegetables. Maca comes in different colors from red, yellow, purple and black, but there seems to be little difference in taste and nutrition between the different colors. The best choice is a high quality powder, organic powder that blends several different colors. This will give you the biggest range of benefits. Maca powder contains a wide range of essential minerals, including iron, iodine, calcium, magnesium, phosphorus, potassium, zinc, selenium and more. It also contains healthy doses of vitamins B1, B2, C and E. Packed with amino acids, maca is a notable source of plant sterols. When adding to smoothies use about 1 tablespoon. 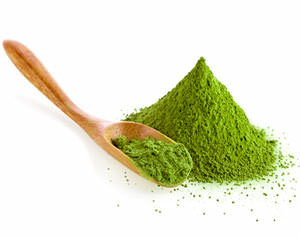 Matcha is a finely ground, powdered, high-quality green tea. Not to be confused with regular tea powder or green tea powder. It has a bitter, strong taste, so use it sparingly, starting with a quarter of a teaspoon. Why is matcha green tea so potent? It is an antioxidant powerhouse and probably tops the list of superfoods. One serving of matcha tea is the nutritional equivalent of ten cups of regularly brewed green tea. This is because you enjoy the nutritional benefits of the entire leaf, not just the brew. In fact matcha puts the "super" into superfoods. It contains over six times the antioxidants found in goji berries, seven times more than dark chocolate, 17 times more than blueberries and 60 times more than spinach. It will also put the "green" into a green smoothie and goes well with avocado, banana, berries or mango. This list of superfoods is by no means complete, but it represents, in my view, those superfoods which deliver most bang-for-buck, are easily available and the most palatable for adding to smoothies. There are many other whole foods which can claim to be called a superfood. Check out the list of other smoothie ingredients below.